We offer the following information to answer many frequently asked questions about tax return due dates, deduction limits, minimum wage, and other topics. You may also wish to visit the IRS's website or the State of Ohio's website for additional information. The current tax rate for social security is 6.2% for the employer and 6.2% for the employee, or 12.4% total. The current rate for Medicare is 1.45% for the employer and 1.45% for the employee, or 2.9% total. Additional Medicare Tax applies to an individual’s Medicare wages that exceed a threshold amount based on the taxpayer’s filing status. Employers are responsible for withholding the 0.9% Additional Medicare Tax on an individual’s wages paid in excess of $200,000 in a calendar year, without regard to filing status. An employer is required to begin withholding Additional Medicare Tax in the pay period in which it pays wages in excess of $200,000 to an employee and continue to withhold it each pay period until the end of the calendar year. There’s no employer match for Additional Medicare Tax. Only the social security tax has a wage base limit. The wage base limit is the maximum wage that’s subject to the tax for that year. For earnings in 2018, this base is $128,400. There’s no wage base limit for Medicare tax. All covered wages are subject to Medicare tax. For additional information visit IRS.gov. • your taxable compensation for the year. • Qualified reservist repayments. Your traditional IRA contributions may be tax-deductible. The deduction may be limited if you or your spouse is covered by a retirement plan at work and your income exceeds certain levels. If you file a joint return, you and your spouse can each make IRA contributions even if only one of you has taxable compensation. Your combined contributions can’t total more than the taxable compensation reported on your joint return. It doesn’t matter which spouse earned the compensation. Further information is available in IRS Publication 590. The maximum contribution cannot exceed 20% of total compensation, not exceed $55,000. In general, plans must limit 401(k) elective deferrals to the amount in effect under IRC section 402(g) for that particular year. The maximum elective deferral is $18,500 in 2018. A 401(k) plan might also allow participants age 50 and older to make catch-up contributions in addition to the amounts contributed up to the regular 402(g) dollar limitation, provided those contributions satisfy the requirements of IRC section 414(v). Visit IRS.gov for details. The following table shows the minimum annual deductible and maximum annual deductible and other out-of-pocket expenses for HDHPs. 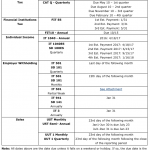 Further information is available in IRS Publication 969. 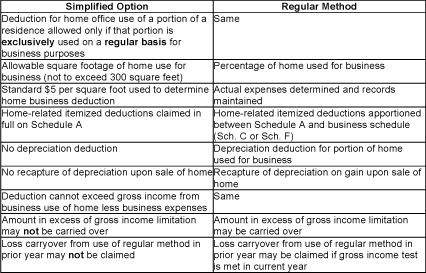 Beginning in tax year 2013 (returns filed in 2014), taxpayers may use a simplified option when figuring the deduction for business use of their home. Full details on the new option can be found in Revenue Procedure 2013-13. Effective, January 1, 2019, Ohio minimum wage will increase to $8.55 per hour with exceptions for tipped employees, some student workers and other exempt occupations. Tipped employees minimum wage will be $4.30 per hour. Ohio’s minimum wage is updated annually based on the cost-of-living index. An exception is made for employees under 16 years old, and any employees who work for companies grossing under $305,000 per year, who may be paid $7.25 per hour (the Federal Minimum Wage) instead of the higher Ohio Minimum Wage. Handicapped or disabled workers may be paid a special minimum wage rate, lower than the Ohio Minimum Wage, if their employer has a certificate from the Ohio Department of Commerce.